As you may remember, we entered Blog And Buy Sale’s last wish list and we are beyond excited to share that we won an award for our stationery! 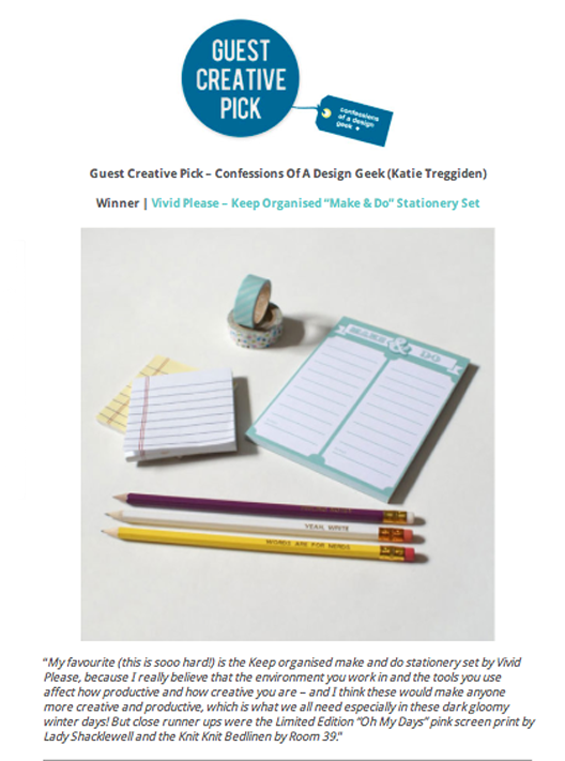 Our “Make & Do” stationery set with engraved pencils and lined post it notes got selected by the awesome Guest Creative Judge, Kate Treggiden from Confessions Of A Design Geek. With so many awesome entrants we never expected to make such an impression and we are absolutely thrilled to hear that our design work is so appreciated! Thanks so much Elba 😀 We really appreciate your support!